We designed GrooveCall with one thing in mind, to get you more conversions and phone calls from your mobile visitors. 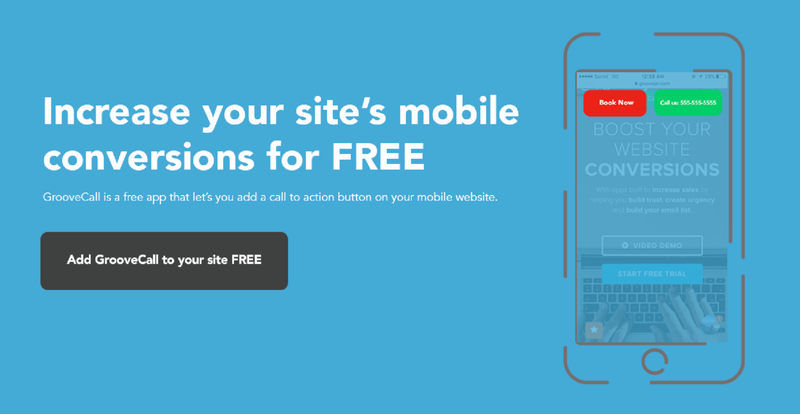 Set up one, or two call to action buttons that are always at either the top, of bottom of your mobile visitors screens. 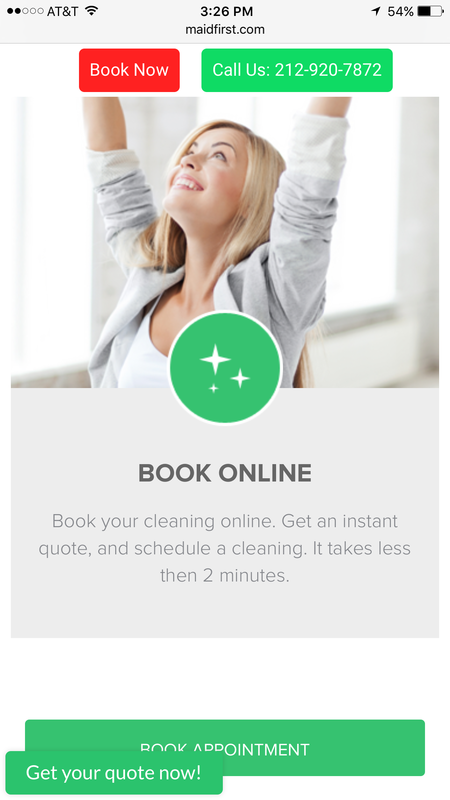 Clicking on the phone number button allows your potential customers to call you with one click, without having to search for your number on your website. Perfect for local service businesses who often have a large portion of their new customers coming from phone calls. Don’t have a phone number for your business? 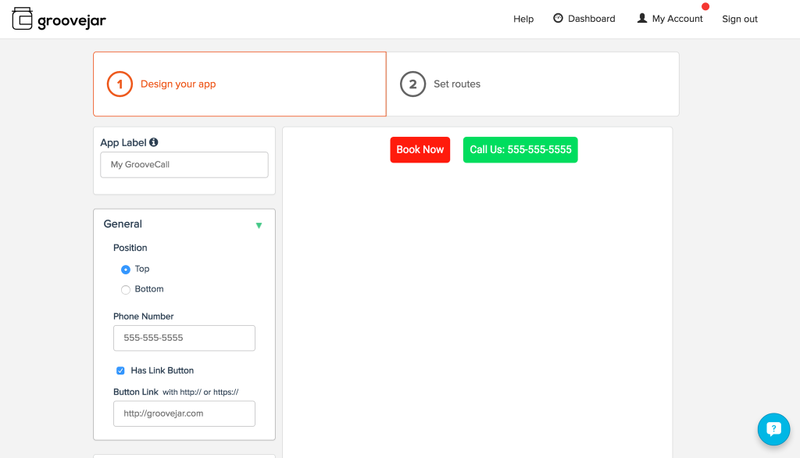 You can use GrooveCall to just display a call to action button to direct users to any link, like your online store, booking page, or login page. GrooveCall is incredible simple to set up, enter your number, colors, and other options and launch it on your site! Only your visitors on mobile will view this app. Oh, and did I mention it’s completely free? Just sign up to GrooveJar.com, you’ll have access to all our apps and features for 14 days, after that, this app will still be free for you! Cool, will test in my website. Thanks.